Amongst business and city travellers from allover the world the Goethe Classic Hotel is one of Frankfurts most poular and frequently booked hotels. 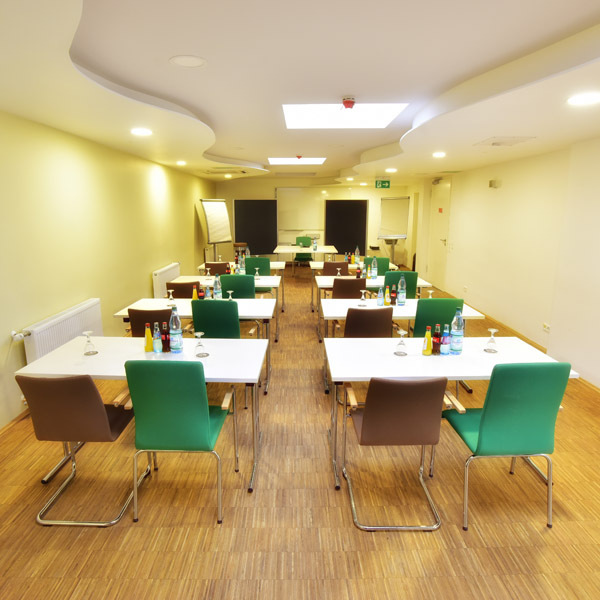 The hotel is located only a few minutes from Messe Frankfurt as well as from the heart of the city centre and financial district. 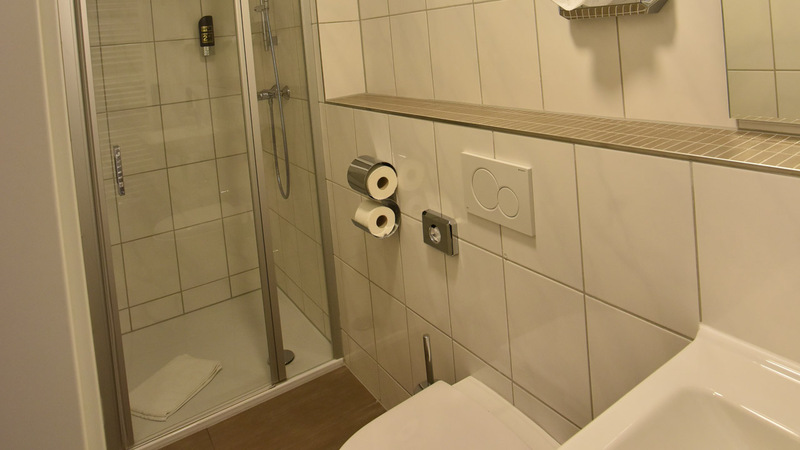 Hence the Goethe Classic Hotel is not only the perfect address for visitors of Messe Frankfurt but also for tourists of all kinds. Thanks to the perfect connectivity to the public transport our guests can easily get to their point of interest in the Frankfurt area, including the reconstructed historical center, the renowned musuem district and the old town of Frankfurt-Hoechst in the western part of the city. From Frankfurt Central Stastion you can easily get to our hotel in about 10 minutes by tram and from Frankfurt Airport in about 20 minutes by suburban train/tram or taxi. 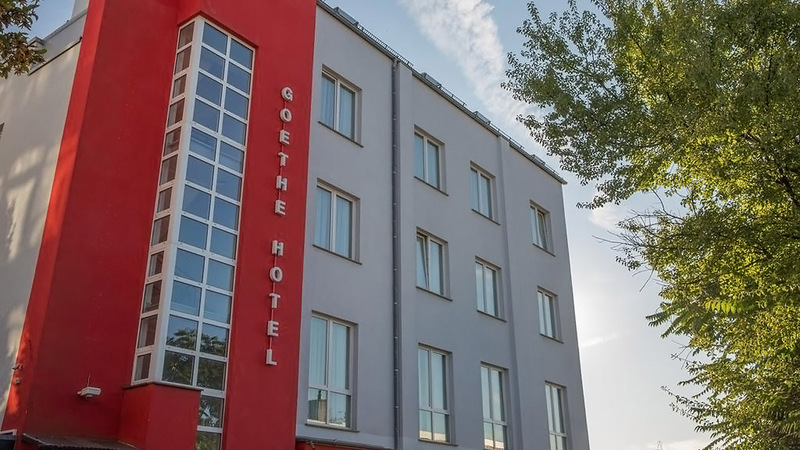 Being a privately managed hotel, Goethe Classic Hotel puts special emphasis on the handling of our guest’s wishes, concerns and demands. The rooms of our price attractive hotel garni offer the cosiness and atmosphere of a 3 star comfort hotel and the intimacy of a privately led family house. 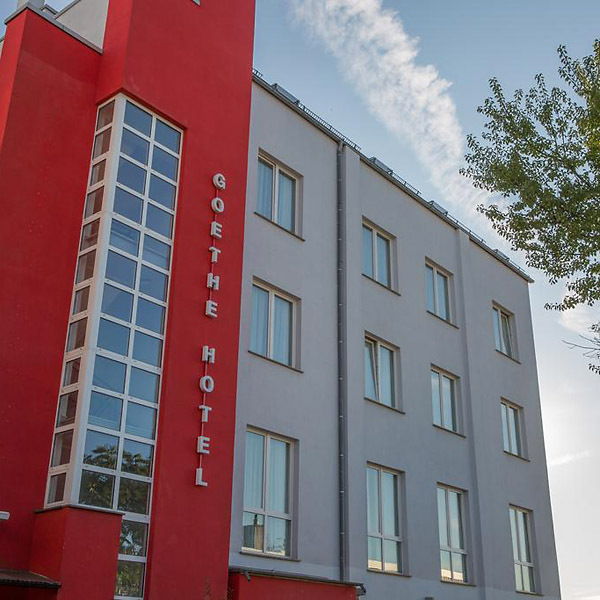 Although the hotel is close to the city center of Frankfurt, the location and surroundings of Goethe Classic Hotel are peaceful and quiet. 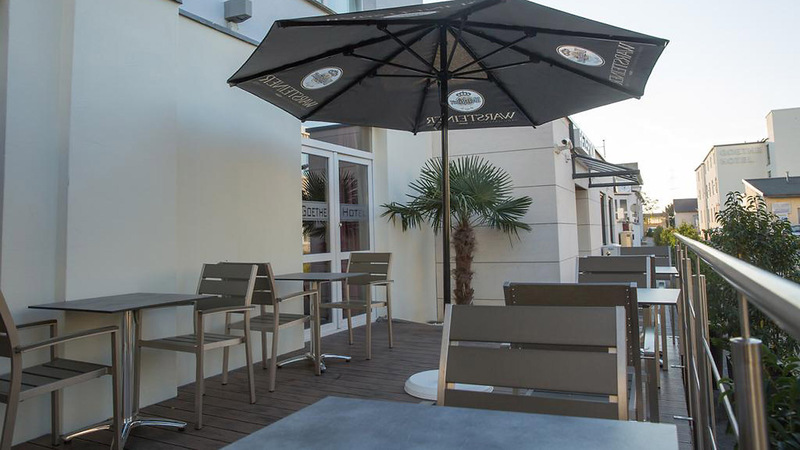 For a small fee you can park at our own car park and you can take advantage of our free highspeed WIFI connection within the complete hotel. 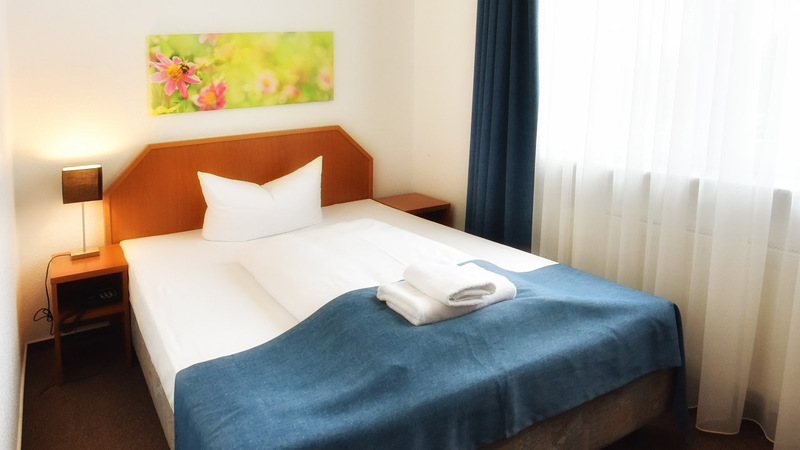 Our comfortably equipped rooms come with flatscreen TV so yaou will easily feel like being at home – no matter whether you are here in Frankfurt for business reasons or for vacation. 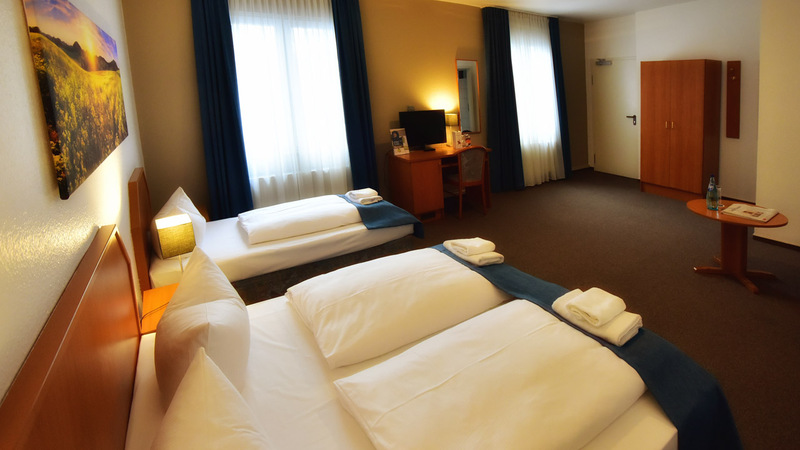 Due to the short sidtance to the Frankfurt fairground, our hotel is particularly popular among visitors and exhibitors of Frankfurt Messe. Nevertheless, city travellers and families are appreciated guets of our hotel, too. Families in particular cantake advantage of our 3-bed and 4-bed rooms which additionally can be equipped wit a baby bed. 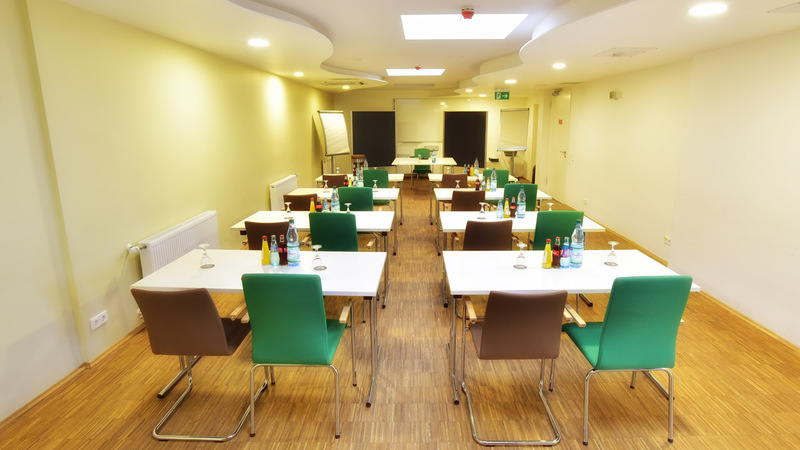 Goethe Classic Hotel provides you with a conference room with a size of 90 sqm. Depending on the seating variant you choose there is space for upt to 50 persons. 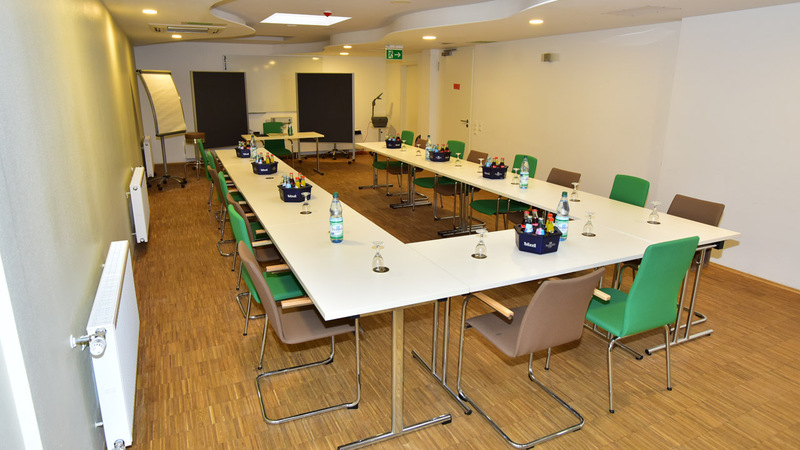 For your conference we offer all amenities and technical equipment you need for a succesful meeting, presentation or conference. Details will be provided soon. The more detailed you specify the needs of your business event, the more precise our first cost estimate will be. 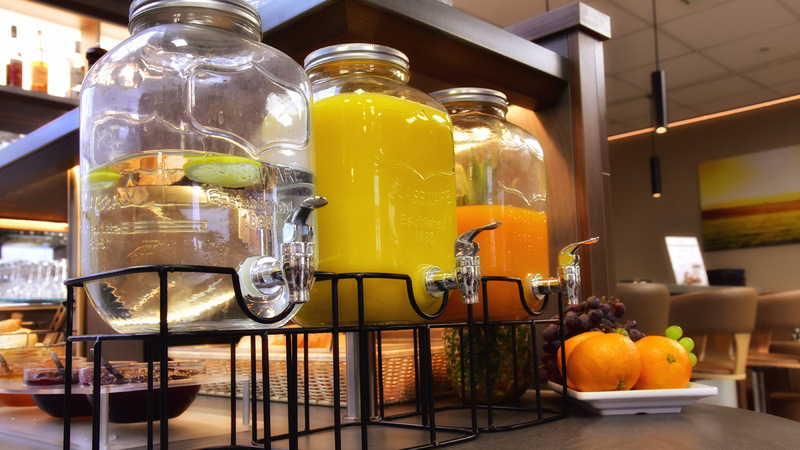 In our hotel restaurant and bar you can joyfully relax after an exhausting day with your business or city trip. 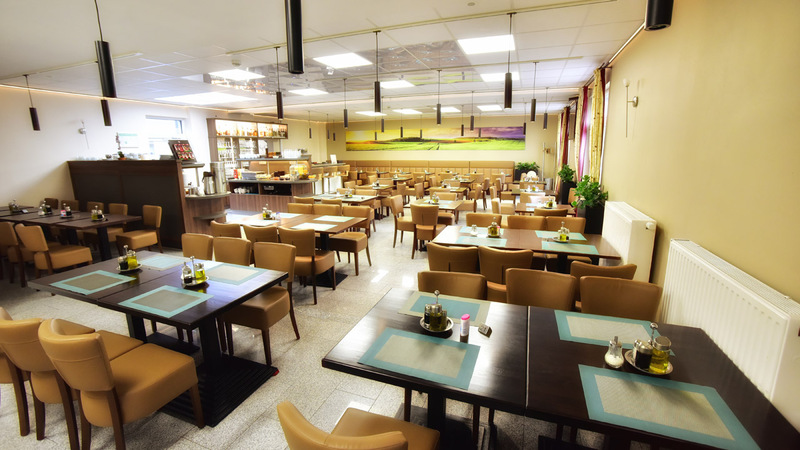 Our restaurant offers german, mediterranean and asian specialties. All of them made from fresh ingredients! 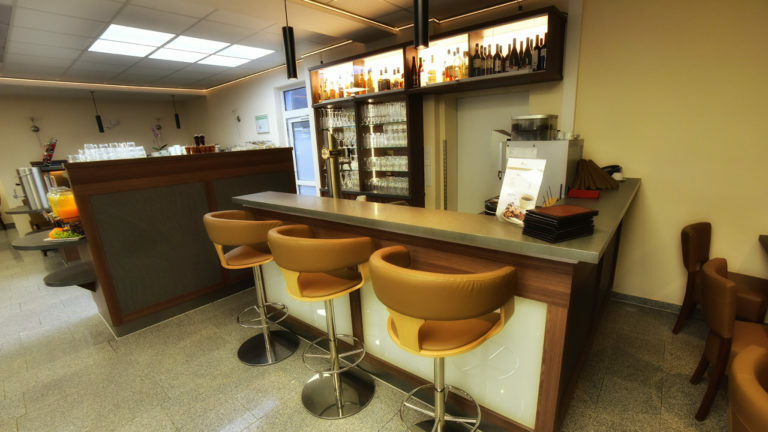 Bring the day to a close at with a subsequent beer, wine, cocktail or longdrink at our well equipped bar. 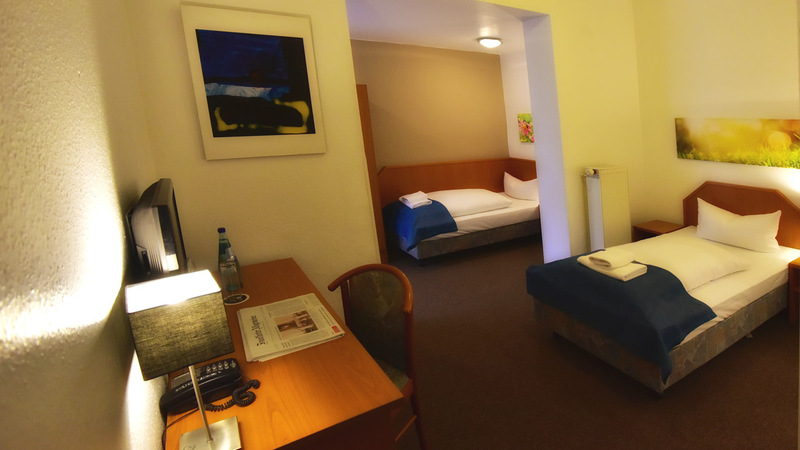 Frankfurt Goethe Hotels are located in close proximity to Frankfurtr Messe (trade show) and the highways A3, A5 and A66. 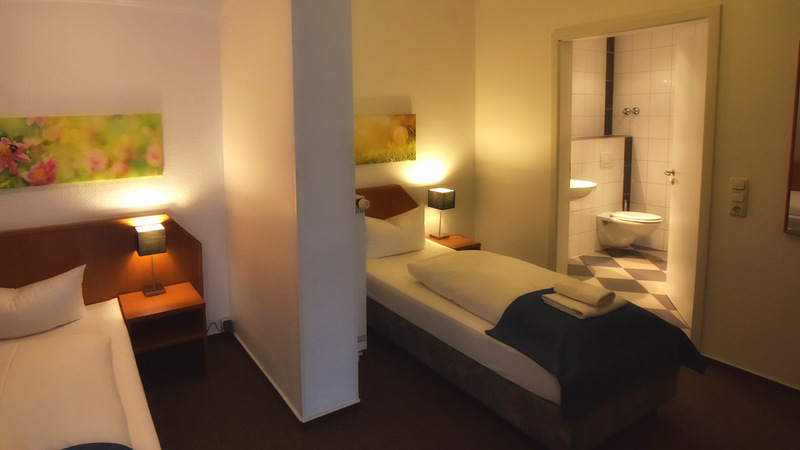 The Frankfurt Central Station is also only a few km distant, although the hotel is located in the quiet Gallus quarter of the city. 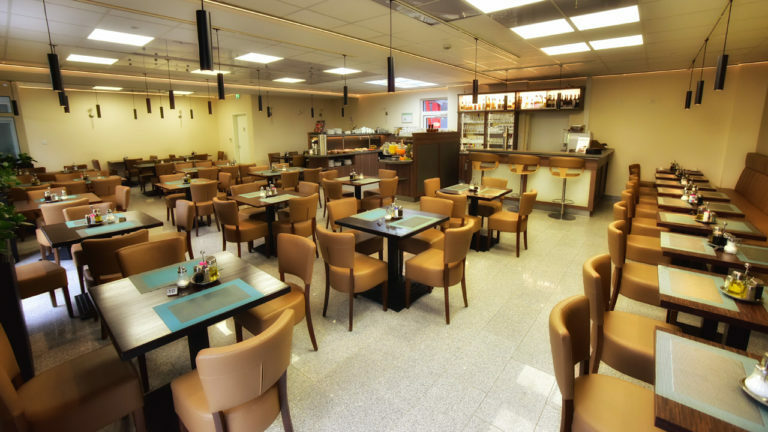 Not only trade show visitors and exhibitors have their perfect basecamp at our hotel, but also Frankfurt tourists who are looking for a comfortable and quiet hotel. Thanks to the perfect traffic connection the Frankfurt Messa and downtown Frankfurt are only a few minutes away. 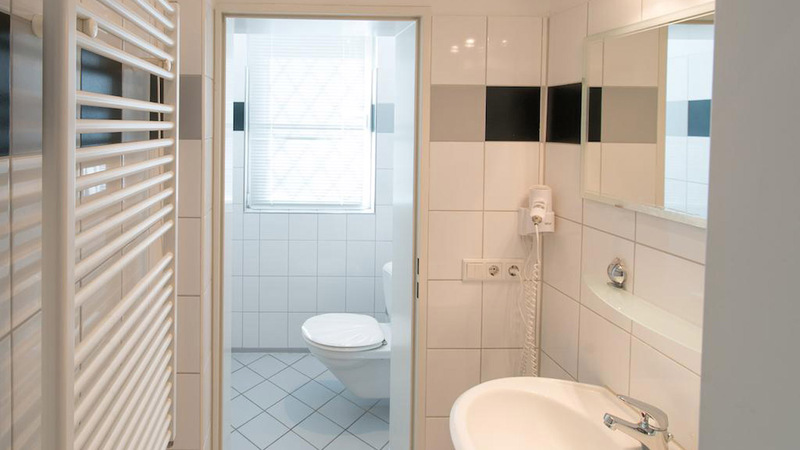 You also can get to Frankfurt Airport in about less than 30 minutes by public transport or taxi. 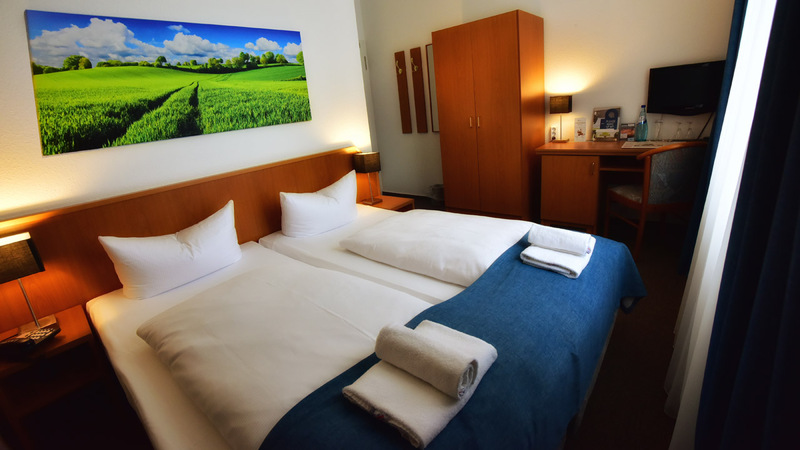 Not only the Messe, but also Rebstockpark, the leisure- and adventure pool “Rebstockbad” and the renowned music club “Das Bett” are in close distance to Goethe Hotels Frankfurt. In addition to that, the new Frankfurt “Europa quarter” and “Europa gardens” can be accessed in a few minutes by foot.